View saved wifi password in android without root-Hey, guys ShouTricks back again with another trick in which we will teach you how to view saved wifi password on android without root. Sometimes our friends using someone wifi network at free of cost. When we asked them what is a wifi password for wifi network they simply say I don’t know the wifi password his friend entered the wifi password on his android phone? So, friends, it’s too annoying for me also for them who are reading this post. This kind of incident always happens with everyone also this kind of incident happened to you, my friend. Being an IT student also am doing BCA so I need the internet connection but my brother doesn’t allow internet connection and where the area I am living here almost 10 to 12 wifi connection available with high-speed internet. My lots of friend’s using the wifi of my neighbor the best thing about my neighbor wifi is that their wifi connection is too fast as 5 Mbps. So my friends using that wifi connection and download lots of movies games so on whenever I asked to them what is a wifi connection password they refuse me and say to me I don’t know wifi password one of his friends entered the password on his phone so he is using. 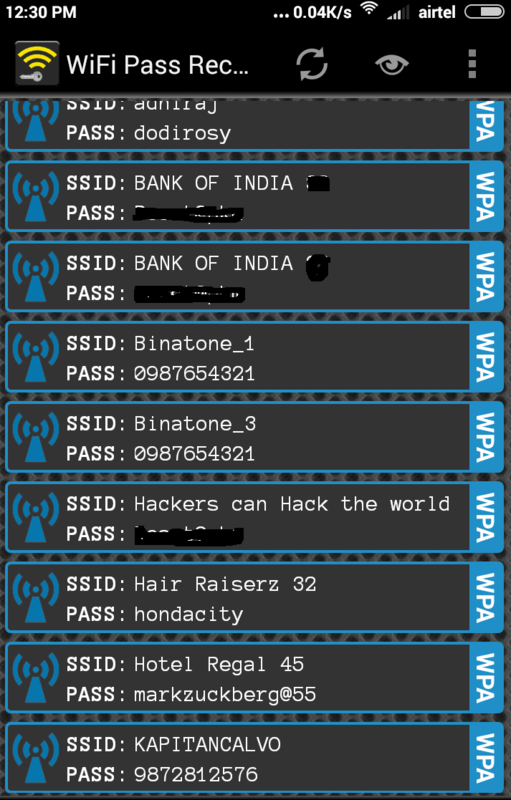 So friends in this post I am going to show you how to view wifi password without any problems just you required Root permissions and some patience. This process is very fast and an easy nontechnical person can easily understand this so hold your hands tighten your seat belt here we go. Without root permissions, you can’t access or view wifi password. 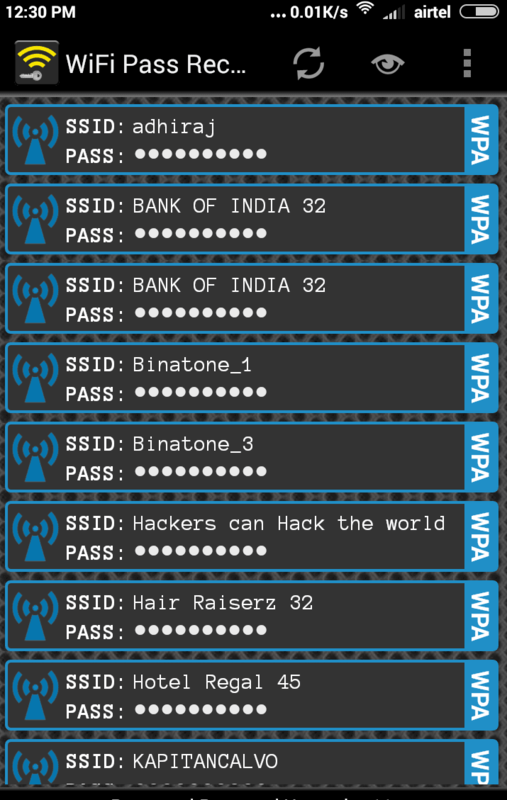 As I have mentioned that the wifi passer is the best toll for wifi password. It consists many features which are not available in the free version but yet wifi passer enables us to do wifi password recovery without root. No doubt there are many apps available on internet which offers same features but they charge some money for premium features. Best thing about this, it helpful in recovery wifi password in no root device. 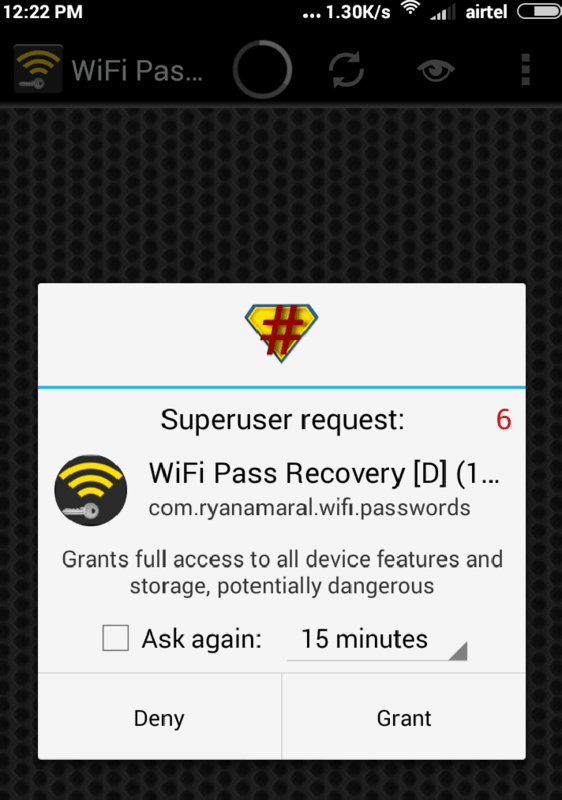 This is a simple method about how to view saved wifi password in android without root. In this post, we learned how to view saved wifi password on a rooted android phone. Root has lots of benefits if your android phone is rooted then you can get most out of your gadgets. There are lots of methods to view wifi password using a rooted android phone but it’s a simple and easy method to know wifi password. Hope you guys like this post if you feel any problems regarding this trick then comment below I will definitely give answers.